His name is Alex Bogusky and he's the "Chief Creative Insurgent" (aka the boss) of MDC Partners who according to Wikipedia are the 10th largest advertising agency in the world (and who have one of the coolest websites I've ever seen). Consequently he certainly knows more than you or I do about the ins, outs, evils and lies of advertising and since his clients have included the likes of Burger King, Domino's and Coca Cola to name just a few, he also probably knows more about how Big Food markets than we do. 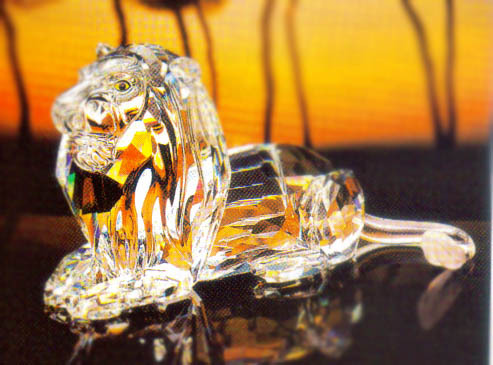 "takes into consideration all the potential effects of their marketing and have built a plan that carefully avoids abusing the power of advertising"
He's calling it the Cannes Crystal Grand Prix Lion. "As we all know from experience, children are not small grownups. Their brains are fundamentally different, the big difference being that right hemisphere brain development doesn’t really kick in until the age of twelve. This is important because without the right hemisphere involved, all decisions and concepts are very black and white....And this leaves them fundamentally and developmentally unequipped to deal with advertising in the way an adult can." The picture he paints of a post-children advertising ban is indeed rosy. He sees improved eating as Moms and Dads won't be caving into the pressure to buy their kids the crap their televisions tell them they want and by extension he sees improved parent-child relationships and increased childhood self-esteem. He sees increased incentives for kids to get involved in free thinking play as television networks built off the backs of children's nag power/advertising dollars crumble and kid TV becomes less lucrative to air. He sees companies being forced to make healthier kids' foods as now it'll be left to Mom and Dad to determine what should enter their homes and he sees those companies feeling better about themselves. Alex once turned down Burger King's kids' marketing campaign and hopes that somewhere out there a major Big Food player's public relations team is going to decide that it'd be well worth it to call for and support a ban on advertising to kids. He figures that North America's ready to applaud just such a move and that applause would serve that insightful firm as all the marketing it needs. Head over to Alex' blog and be sure to read his whole piece.